Protection from fire, and all related hazards, starts with ensuring that your fire extinguishers are in perfect working condition. 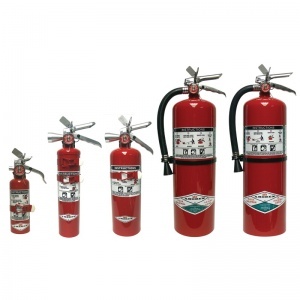 Essentially, your extinguisher will act as your first line of defense against fire. It will also act as a valuable means of protection in case of any emergency. Therefore, you need to get each unit inspected and properly tested. If you have been asking is there a fire extinguisher service near me in Tampa Florida, we are here to help you. At All Florida Fire Equipment Company, we are ideally placed to offer you a flexible, comprehensive and local solution to fire protection. Our services cover every aspect of your fire protection requirements, including ongoing maintenance and servicing and a free preliminary survey of all makes and types of portable extinguishers and firefighting equipment. We service these fire protection gadgets through a combination of specialized maintenance, repair and upgrades. We have been providing professional-quality fire extinguisher services in Sarasota, Lakeland, Clearwater, St. Petersburg and Tampa for more than 20 years now. As a family-owned and operate firm, we are able to keep your prices competitive and our services personalized. Therefore, you can trust us to increase your safety options with our hydro-static testing, hood cleaning, emergency lighting, exit, and suppression system services. Most of the time, the regulatory authorities (both local and federal) require that your fire safety options are up to date, reliable and able to help you in the event of a fire. By choosing us, you can rest assured that we will ensure you comply with all these rules, laws and regulations. There is no telling when a fire might break out. This is one of the unexpected events that could cost you your home, livelihood, family and/or life. Why not come take advantage of our diverse fire extinguisher services in Tampa Florida instead of risking the destruction that fire might cause to you? Through our services, we will ensure your equipment is ready for immediate use, if and when required. We will also perform constant inspections and periodic testing to be sure that the fire extinguishers are in proper working order. Most of the insurance companies you will come across in Tampa Florida will require that you provide documentation showing that your extinguishers receive periodic maintenance and checks. After servicing your fire safety options, we will supply these documents free of charge. The other reason why you need our fire extinguisher service in Tampa Florida is that we will help to promote your safety and security against fire. Having your fire extinguishers functioning properly and serviced appropriately will potentially save property and lives in case of a fire outbreak. At All Florida Fire Equipment Company, we will inspect your fire extinguishers and other fire safety options every month. During these episodes, our technicians will inspect the units visually, clean them, check the pull pins and provide you with documentation proving the inspection was performed. Most local AHJ and the NFPA (National Fire Protection Agency) often require that your extinguishers get checked regularly and consistently. Depending on the type of unit you have, our licensed professionals will come in and provide regular maintenance every year. Of course, since fires do not occur every time, the routine maintenance ensures that you are ready to go in case of an outbreak. Stored pressure extinguishers are increasingly common in Tampa Florida. They also require professional internal maintenance after every 6 years. Additionally, you need to get hydrostatic testing on these safety options every 12 years. Other fire extinguisher types vary in terms of their requirements for testing intervals and internal examination. Talk to us to understand your fire extinguisher service requirements today. Another advantage that comes with getting the All Florida Fire Equipment Company to take care of fire servicing needs is that you will be enrolled into our value inspection program. This program will give you complete confidence in our top-of-the-line fire safety protection for your home, business, and building. There is more to fire extinguisher services than meets the eye. Having a fire extinguisher is the first step to ensuring the safety and security of your property, people, family and life. Research shows that over 30% of all portable fire extinguishers are not in excellent working order. Additionally, you should keep in mind that having an updated inspection tag on your extinguisher does not necessarily mean that it will be useful in case of a fire outbreak in Tampa Florida. At All Florida Fire Equipment Company, we are a trusted company that has been in the industry long enough to understand your fire safety options and requirements. You can, therefore, count on us. We will go the full length without taking shortcuts or chances with your safety. 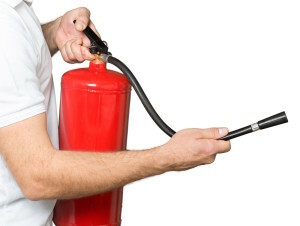 We also offer a variety of fire extinguisher services in Tampa, Florida. Apart from the ones listed above, we sell a variety of portable fire extinguishers from trusted manufacturers. To further boost your fire safety options, our protection experts will review your home/facility/business premises to match the placement, size and type of fire extinguishers to your particular needs. Of course, we do this while keeping up with national fire protection standards. In conclusion, you should think of All Florida Fire Equipment Company every time you ask ìis there a quality, trustworthy and reliable fire extinguisher service near me in Tampa Florida. Give us a call for a free, no-obligation fire extinguisher service quote today.